3-D technology used in movie theaters include Imax, RealD 3D and Dolby Digital 3D. These three leading competitors are the theater owners’ options for the 3-D system to use in their cinemas. While each system has specific differences, all of them have one thing in common: the use of 3-D glasses. Imax is primarily based on film technology, while RealD 3D and Dolby Digital 3D are both digital 3-D formats. In the case of RealD 3D and Dolby Digital 3D, their differences are more technical than visual in nature. 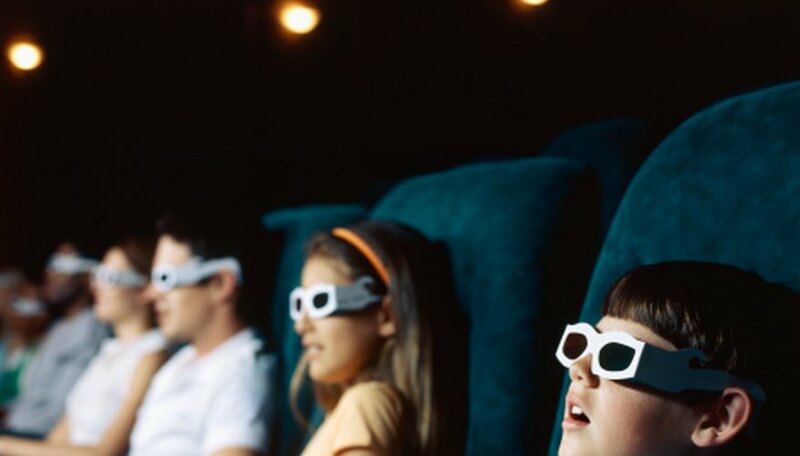 While both RealD 3D and Dolby Digital 3D use the circular polarization system in their projection technologies, the Dolby Digital 3D glasses are more expensive and fragile compared to those used in RealD 3D. This type of 3-D glasses uses special multi-coated lens, which makes them more expensive to produce. The said glasses are not the disposable type and a strict control over the distribution and collection of these glasses are very much apparent in movie theaters. RealD 3D requires a special kind of silver screen to be used in the movie theater because of the polarization needs of the projected stereoscopic image. For a Dolby Digital 3D theater, it actually requires polarized projection as well, but it uses the same standard white screen utilized in ordinary 2-D digital theaters. This means that converting a theater from 2-D to 3-D doesn’t require changing the prior movie screen used. This also solves the reflection problems encountered in silver screens. In RealD 3D, the movie theater requires expensive investment on digital cinema projectors compatible with the RealD 3D system. For one movie theater, the system uses opposing circular polarized lenses and two projectors. Meanwhile, in Dolby Digital 3D, digital cinema projectors used in 2-D movies can actually be used. The projector only requires a simple accessory called a rotating filter assembly to be inserted in between its lamp and picture element to allow 3-D projection. A RealD 3D theater is a permanently set-up theater geared towards 3-D screenings. This is because it uses a different projection screen and digital projector compared to the one 2-D digital cinema theaters use. For a Dolby Digital 3D theater, since it can use the same projection screen and digital projector utilized in 2-D digital cinema theaters, the actual theater can be used interchangeably for 2-D and 3-D screenings. The rotating filter wheel assembly installed in the projector simply retracts to showcase 2-D movie presentations.